Which one smells better? 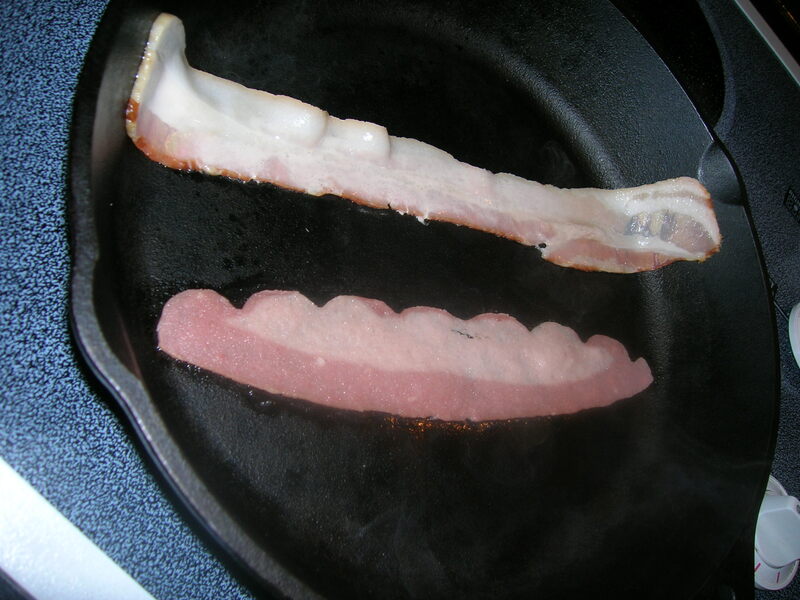 One of these two strips of meat is from a pig, the other a turkey. Can you tell by looking? My Granny relished feeding her grandsons. I’m sure she would rather have been doing other things, but cooking took on a new pleasure when my brothers and I showed up each summer. The smell of your grandmother’s house is unique, and everyone with a Granny can smell it in their mind’s nose at the suggestion. Whenever you catch a whiff of it, you are transported back to carefree days when the “Price is Right” was high drama and squirrels invading the tomato patch was an issue of national security. Part of the smell of my Granny’s house on Beatrice Avenue in Columbus, Ga., was bacon. I don’t know if she fixed it all the time or just when we were there; but to me, the smell of cooking bacon always reminds me of Granny. Curiously, this smell is growing more and more elusive. You see, back in the early ‘70s heart attacks killed people randomly. 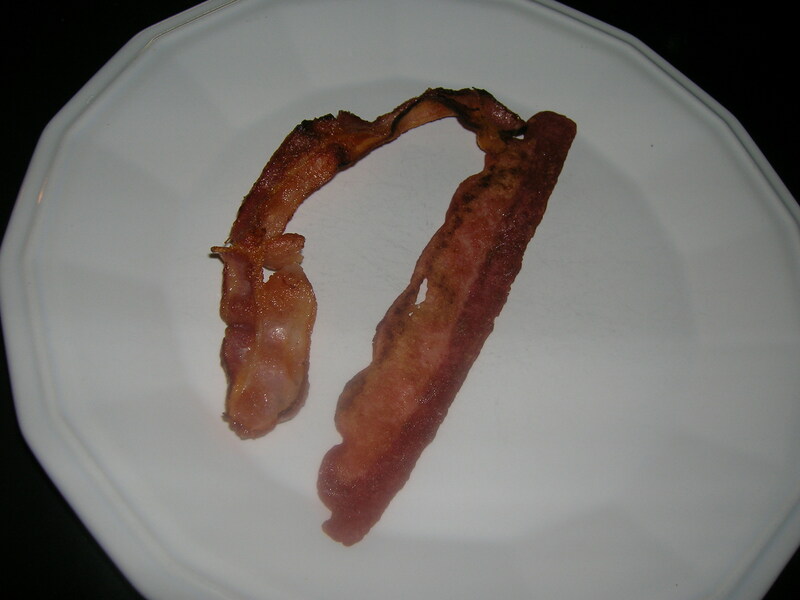 Now, heart attacks kill people after years of smoking or eating bacon. So we don’t eat as much bacon as we used to. Oh, we eat substances called “bacon,” but it’s not authentic. It’s not deadly. You can definitely tell the real thing before it starts to sizzle. About every other morning I’ll pop a couple of strips of turkey bacon in the microwave. It does have a little bacony flavor, but it doesn’t smell the same. It doesn’t even sound the same… no crackling and popping in the cast iron skillet. Just the hum of the microwave and the faint sizzle in the paper towel. It’s nearly always a disappointment. For those hoping for a bacon revival, Southern Living’s March issue presented 30 recipes that celebrate what they called a “Southern Staple.” I could smell Granny’s house just reading them. Here’s hoping we’ve raised him well enough to know good bacon when he smells it. This entry was posted in Uncategorized and tagged bacon, bacon recipes, granny, Lance Elliott Wallace, Lance Wallace, New South, New South Essays, South, Southern Culture, Southern Living. Bookmark the permalink.